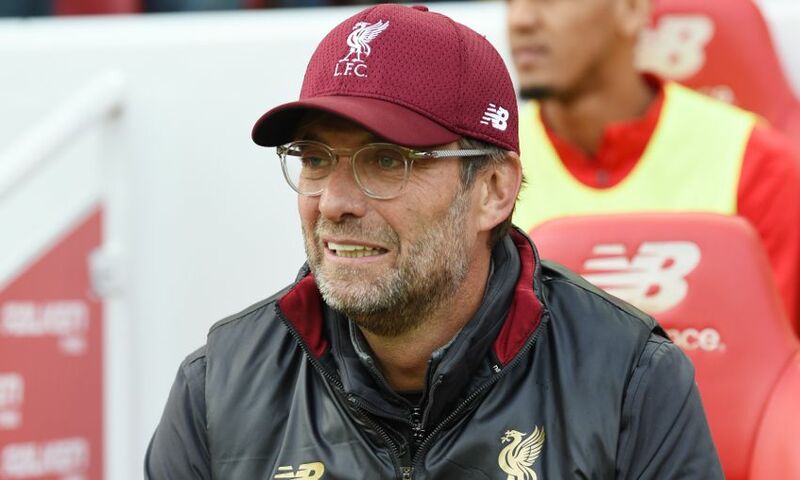 Jürgen Klopp declared himself satisfied with Liverpool’s performance after they played out a goalless draw with Manchester City in an intense Premier League clash at Anfield. The points were shared between the sides, which extends both teams’ unbeaten starts to the season, after a hard-fought encounter. 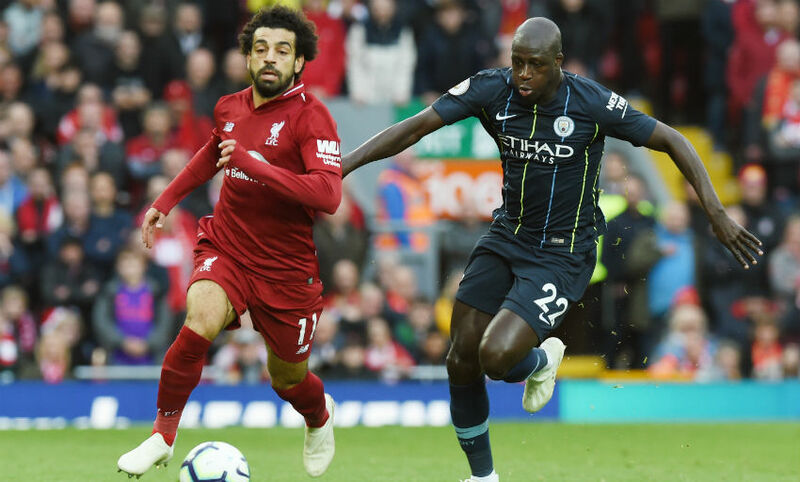 The visitors did have an opportunity to win it in the final stages, but Riyad Mahrez missed a penalty after Virgil van Dijk had been penalised for a challenge on Leroy Sane. Read on for a summary of Klopp’s post-match press conference, during which he also provided an update on James Milner's injury. I am fine. It is a very intense, unbelievable challenge to face Manchester City always - I’ve said that before - and as the last game of an intense period, it makes the challenge even bigger, so I am really happy with what the boys did today. The start in the game was fantastic and I liked it, but if you want to win against City you have to use a few of these half-chances or whatever it is in these moments. You cannot defend them 100 per cent over 95 minutes, so they will always have their moments but I thought how we defended was brilliant apart from the penalty and one or two situations where we needed Alisson with a really good save. We’ve played City now that often and they’re just outstanding. In no game we’ve played so far the game was that kind of level like it was today, even when we won 3-0 at home or 4-3 at home. When we won 2-1 at City, they pushed us in our 18-yard box and we didn’t know how to come out. Then we had our moments of course, but over the full match time it was never like that. It is for both teams really intense what we are doing and both showed respect for the other team. Don’t lose the ball in the wrong moment otherwise you will have a big problem. Both teams did well. We were a bit lucky with the penalty of course, that was clear. You cannot ignore City in the preparation - it is quite difficult! For higher rhythm you need space and both teams didn’t give any space away. Against City, it’s not news - if you don’t defend the half-spaces then they are constantly between your midfield and last line and you have to constantly jump in the last line, which you don’t want to do really. One situation where you allow them a one-two and then are alone in front of the goalie, or are alone in the box and shoot the ball across the line and somebody scores an easy goal at the back post. It’s so difficult to defend and I am really happy with how we did it. We had a little setback on Wednesday for sure. I watched the game back on the flight back, it was really important to see it again so we could adjust a few things - and it was so much better today. If we would have defended like we did against Napoli today then it’s a 7-0. No doubt about it. But we were really back on track, even after we had to change Millie, which you never want to do, especially in the first half, so I am fine. It was an unbelievably intense period and our fixtures were just crazy. It makes no sense to moan about it when you’re in it, but now it’s over and so I can moan about it! It was just unbelievable; playing these teams is really difficult. I am happy with the results we got. Yes, I saw it now. It feels much easier to say it was a penalty when they didn’t score with it, but I saw it and I don’t think there’s a lot to discuss about. How it very often is with penalties, it is very, very close and with a bit of a longer toe then he [Van Dijk] touches the ball. I think he touched the ball a little bit but obviously not enough, he touched Sane a bit more so it’s a penalty. But not the most important penalty in the history of football because it was not in. We were lucky in that situation but we deserved it, a bit of luck, because with the performance the boys showed today, it’s just good. To respond is really important, but to respond is really difficult when the next opponent is Manchester City because there is no time for any wrong thoughts or whatever. It was easy to adjust because we made not too many mistakes at Napoli, but a massive one formation-wise. We didn’t adapt to what Napoli did, and today we were back again so I am fine. And Arsenal is two points behind too, right? They’ve won six games in a row so it looks like they are in a good shape. We played City today, we can have three points, or one point or no points and we have one so that’s fine. If somebody would have told me after eight matchdays we would have had 20 points, I would say with pretty much any fixture list I’d have said ‘yes’, but with that fixture list I’d have said ‘I’ll buy it, let’s start on the ninth matchday’.